'The greatest Gaelic footballer of all time.' Pat SpillaneWhen Colm Cooper retired from inter-county football in 2017, he left behind a remarkable legacy. The holder of five All-Ireland medals and eight All-Stars, he was Kerry's stand-out forward for fifteen years. From a family steeped in Gaelic football, and a core member of the Dr Crokes team, Colm was still in his teens when he first played for Kerry at senior level. Overcoming struggles with injury and personal tragedy, Cooper became one of the GAA's most recognizable and best-loved figures at a time of tumultuous change in the game. But the man known nationally as `Gooch' is also an intensely private figure who has never courted publicity and his personal story remains largely untold. 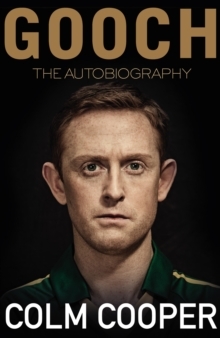 Now Gooch - The Autobiography unlocks a previously unopened door, tracing a compelling path through the life beyond the headlines. This is the story of an ordinary man who became an extraordinary footballer.